It’s been known by names such as The Island of Cod, Vinland, Land of the Fish and Terre Neuve. You’ll know it as Newfoundland. Walter Winfred Chenoweth knew it as the island of the can. Or the canning jar to be specific. That’s where he taught local inhabitants how to preserve harvests from the garden and the sea in glass jars for future consumption. 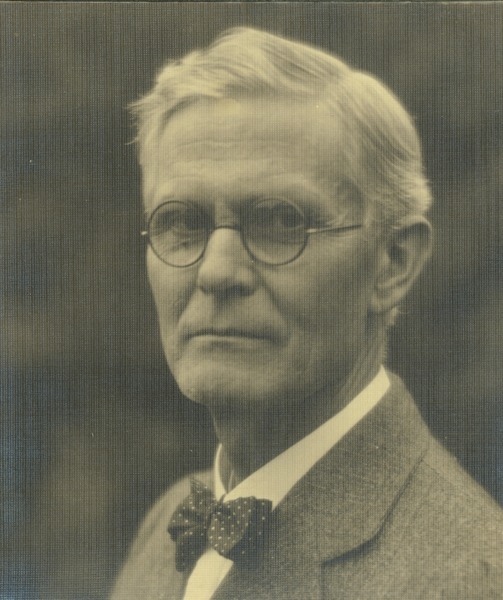 Walter Chenoweth (1872 -1945) was a professor and department head of Horticultural Manufactures at Massachusetts Agricultural College, now known as the University of Massachusetts at Amherst. 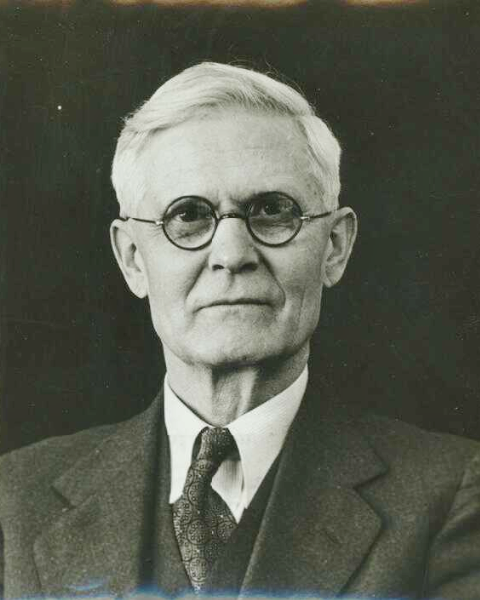 Born in Grundy County, Missouri in 1872, Walter spent his entire professional career, researching, testing and educating others on agriculture and the science of growing fruit, mostly at MAC where he was a member of the staff from 1912-1941. Through years of trial and error, scientific study and hands-on testing, Walter became an expert in the area of food sciences, especially food preservation. In 1929, he went overseas to Newfoundland where he set up canning stations and taught classes to local inhabitants and British colonizers. At the time of Walter’s trip, Newfoundland was in peril. Suffering drastically from results of the Great Depression and a financially crippled local government, the people of Newfoundland were in a state of crisis. The train line that ran through the province ate up all the government’s resources. Vast holes were poked in the salt cod industry – Newfoundland’s main export- via trade halts due to the Depression and via competition from other countries like Iceland, who were developing more efficient fishing methods. These two factors meant that the local government couldn’t take care of its people financially and the sea couldn’t keep its villages afloat as far as income. Early 20th-century travel photographs of Newfoundland. Photo Courtesy of the Town of St. Anthony. Collaborating with British medical doctor Wilfred Grenfell (1865-1940) who was trying to stop the spread of contagious diseases and malnutrition in Newfoundland’s fishing villages, Walter Chenoweth lent aid in the best way he knew how. Through preservation. For a year, Walter worked to make local inhabitants and newcomers more self-sufficient through food storage. By setting up canning station facilities around the island he taught all who were willing to learn how to can fruits, vegetables, fish, meat and poultry so that no food would be wasted or left behind to spoil. This was an important skill for islanders to master in their subarctic climate. With a slim gardening window of just 2-3 months, planting, growing, harvesting and preserving had to be done quickly and correctly to ensure beneficial results. Handled inappropriately, jarred foods could cause serious illness and even death due to bacteria. Stressing proper sterilization methods and practices to ensure safe food preservation, Walter taught islanders every aspect of canning from equipment to techniques, precautions to recipes. Vintage Wheaton canning jar available in the shop. 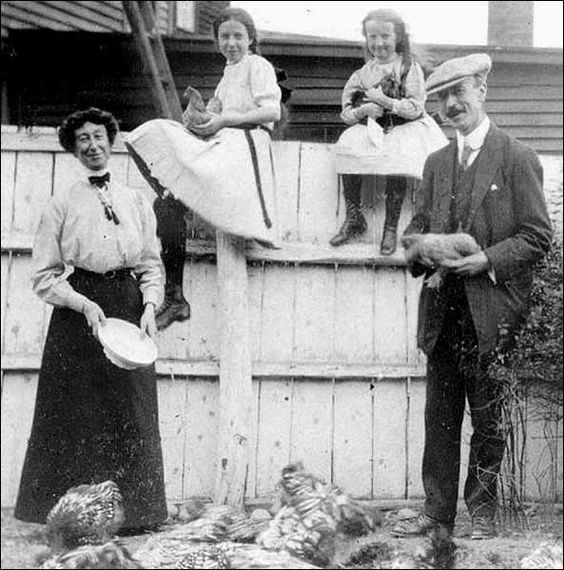 In addition to common jarred items like wild blueberry jam and pickled vegetables, Walter also taught the islanders how to can freshly caught fish, boiled chicken, and roasted meat. These teachings came at a fortuitous time. Two years later, after Walter was back home in Massachusetts, two-thirds of island workers would become unemployed due to the unstable trade markets and the local government’s lack of proper financial planning. Food would become scarce, morale would plummet and families would resort to inventive measures in order to stay alive. Canning skills would become an important component of survival. During that time of island-wide poverty and hunger, the only formal aid that would be offered by the local government was a meager food dole consisting of molasses, flour, cornmeal, fatback, split peas, and cocoa. This care package provided only half of a person’s daily caloric intake. Preserved food helped bridge the gap between the dole and starvation. Eventually, through fortitude and endurance, the island got back on its feet and money started flowing again into communities thanks to jobs and resources needed for WWII. 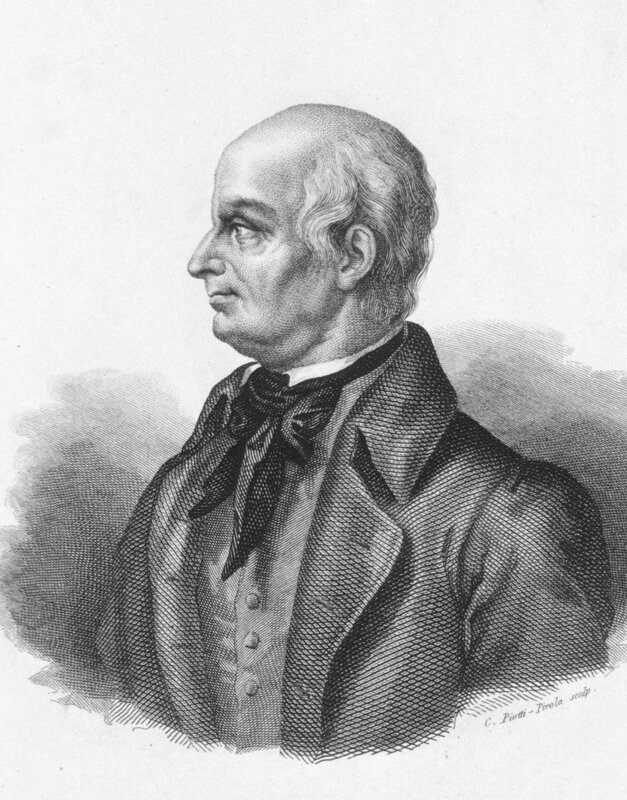 Lazzaro Spallanzani…an Italian priest, biologist and physiologist who discovered that air trapped in glass tubes caused the growth of bacteria. and how that led to the eventual creation of foods kept in sealed shelf-stable jars. In between the anatomy of vegetables, lists of equipment, instructions on canning methods, and advice on troubleshooting, shelving considerations, and cleanliness factors, Walter included a host of recipes explaining how to preserve summer’s bounty for next winter’s nourishment. He explained how to build canning stations, storage rooms and simple farm factories to accommodate production. Everything from cider to syrup, carrots to kerosine, fruits to fermentation were tackled. At the time of publication, Food Preservation was the most concise book ever written on the topic of canning and was so thorough it became the go-to teaching tool in food science classrooms for decades. A once celebrated, but now forgotten pioneer in his field, Walter’s contributions to the people of Newfoundland has been long overshadowed by the lifetime efforts of Dr. Grenfell. It’s easy to understand how that happened – Grenfell made a HUGE impact on the island by building hospitals and schools and by bringing worldwide attention to the hardships of an isolated community. Dr. Grenfell and his wife, Anne. photo courtesy of Grenfell Historic Properties. Walter’s story in Newfoundland may not have been as lengthy nor as flashy as Grenfell’s but, like the products Walter represented, he gave the gift of long-term sustenance to a sea-island in need of a salve. What’s wonderful about a jar of pickled beets or canned tomatoes from last summer? It’s not just an example of previous effort spent, it’s a symbol of security, an innate assurance that the past is vital to the future. That’s what Walter really gave the people of Newfoundland in their darkest hours – a promise that good things were coming soon. Cheers to Walter for teaching us how to enjoy our harvests year round and to the people of Newfoundland for never giving up. Find Walter’s Food Preservation book in the shop here. Find the vintage Wheaton canning jar featured in this post here. Previous A Mare-gerita Affair: Happy Derby de Mayo Day! This is a lovely article. I think you did a wonderful job of describing and praising a man who is sorely unappreciated. Happy (belated!) Fourth of July! Your upcoming movie event sounds fun. I would love to participate but I’m a little behind in my blog schedule (by about a month) due to two big family emergencies in June. So I need to buckle down and focus on those posts before I tackle any new topics. But thank you so much for the invitation and for popping in to stay hello. Please keep me in mind for any upcoming blogathons for the Fall. When things finally quiet down here I’d love to tie-in some new (old) movie and food posts. In the meantime, hope you are having a great summer! And good luck with your event. Thank you so much for your kind reply. I hope that you had a lovely 4th of July, as I did. I hope that all your articles go well! Same to you my dear! Cheers to a lovely rest of the summer.